In her seminal 2003 work, Eats, Shoots & Leaves: The Zero Tolerance Approach To Punctuation, onetime BBC Radio host Lynne Truss despaired over the current state of grammar in the U.K. and the U.S., and re-outlined grammar rules for the 21st century accordingly. She admitted to running around London adding apostrophes to posters featuring the Hugh Grant/Sandra Bullock movie Two Weeks Notice, which, as the A.V. Club copy desk could tell you, should read Two Weeks’ Notice. Perhaps fixing grammar signage is a British thing, because there’s another sign updater at work across the pond. 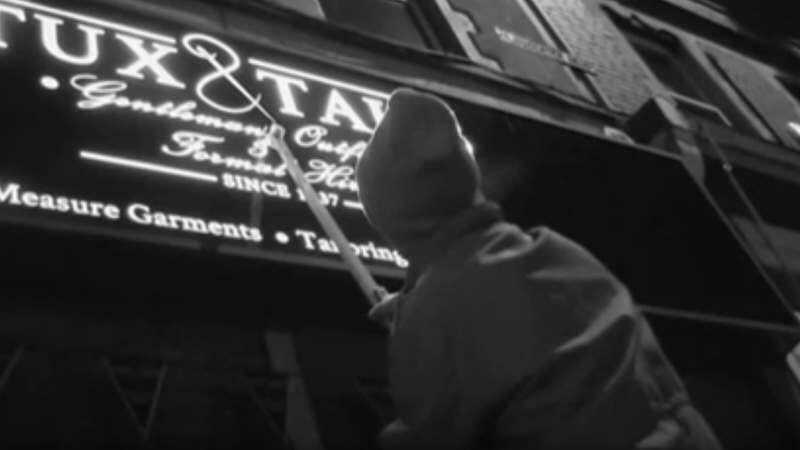 The BBC recently reported on the “‘Grammar Vigilante’ Of Bristol,” who sneaks out in the middle of the night to update incorrectly worded and punctuated signs. The BBC says that apostrophes are a particular specialty for this do-gooder, who has even created a tool called the “apostrophiser” to add such marks where they are needed, and cover them up with colored tape where they are not. For those speculating about the legality of such an enterprise, the grammar vigilante opines that these errant punctuation marks constitute the true crime.